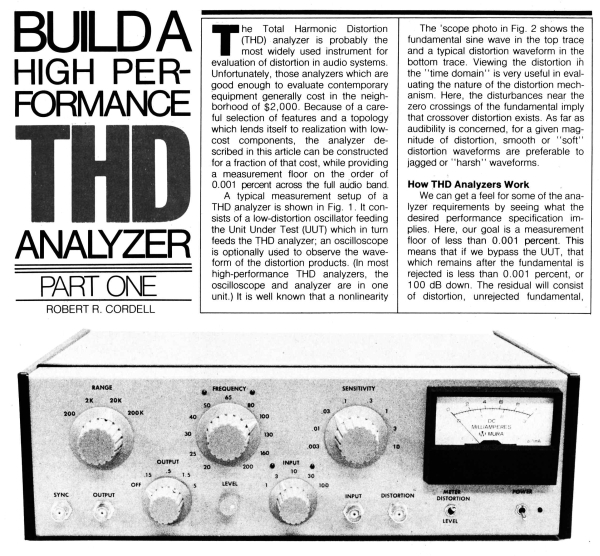 Build A High Performance THD Analyzer Bob Cordell, Audio, July, August, September 1981. I think that I might still have a set of the original pc boards up in the attic. Getting the selectors switches brought the project to a halt. This has interested me for years. There is quite a thread at diyaudio. The number of multi-deck rotary switches is a bit of a deterrent but using OTS rotaries and relays or even solid-state switches in some locations may be a good alternative. In the end it probably isn't cheaper but could simplify the build and reduce wiring. I have experimented with replacing the FET Amplitude Control with a THAT Corp VCA. I was using a 4301 but since the EOL announcement I would ultimately go with a 4305. Anyways, where it was left I was having trouble maintaining a constant level at different frequencies. Cordell's JFET multiplier used for the gain control loop in his sine wave oscillator is quite good. I am not sure you will easily improve upon that. There are several very low THD designs floating around the WWW. The rectifier part of the AGC may not be trivial especially at HF. Lucas - Glad you did resurrect this. I'd love to see a modernization of this design that eliminated the multi-pole multi-deck rotaries. Wow. 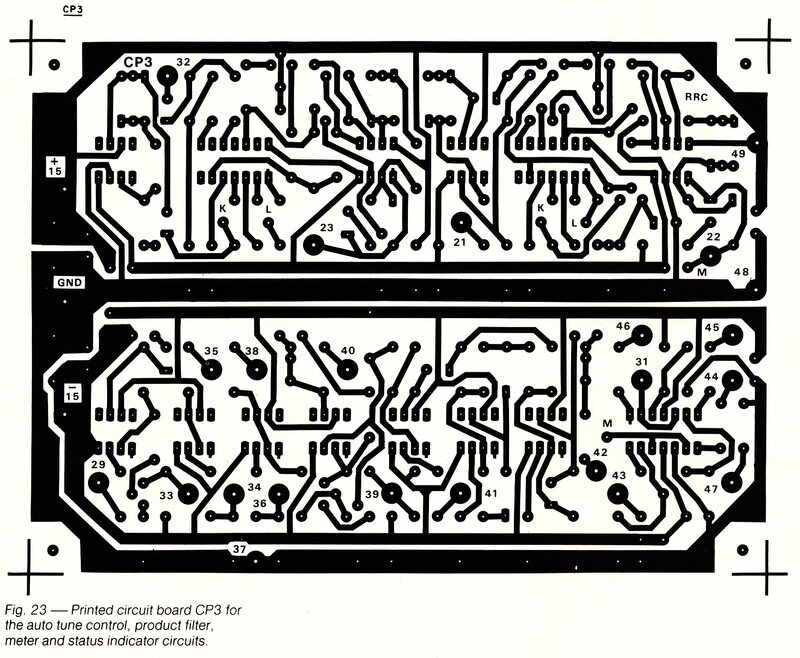 You have given me quite a bit of reading to do and a collection of circuits to review that I have not seen before. 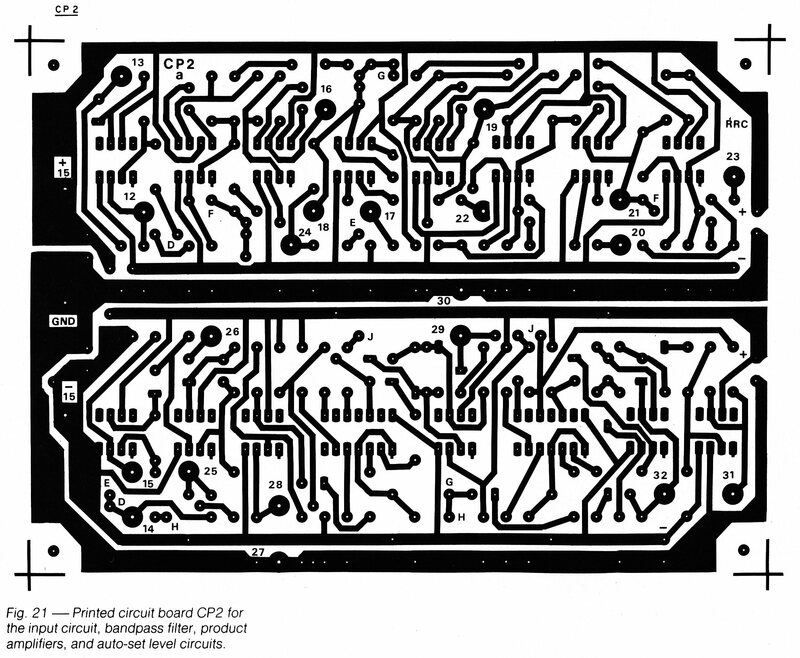 At one point I was really looking at an oscillator on a Linear Technology App Note, AN43, written by John Williams.